Do you Crave City Living? 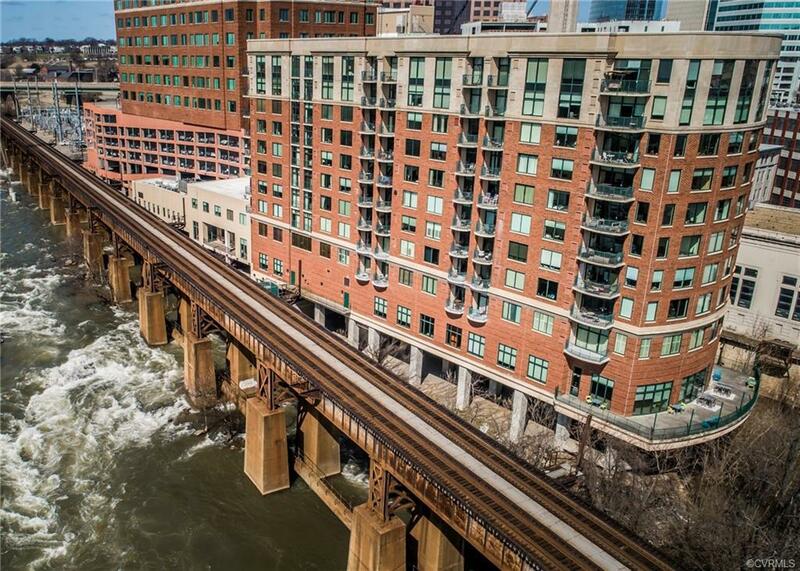 Enjoy STUNNING Views of the James River! Walk to Shops & Restaurants! Secured Garage Parking! FULL SERVICE High Rise SECURED BUILDING! Enjoy onsite GYM, Board Room, Community Rm w/ FREE Wifi & Pool Table! 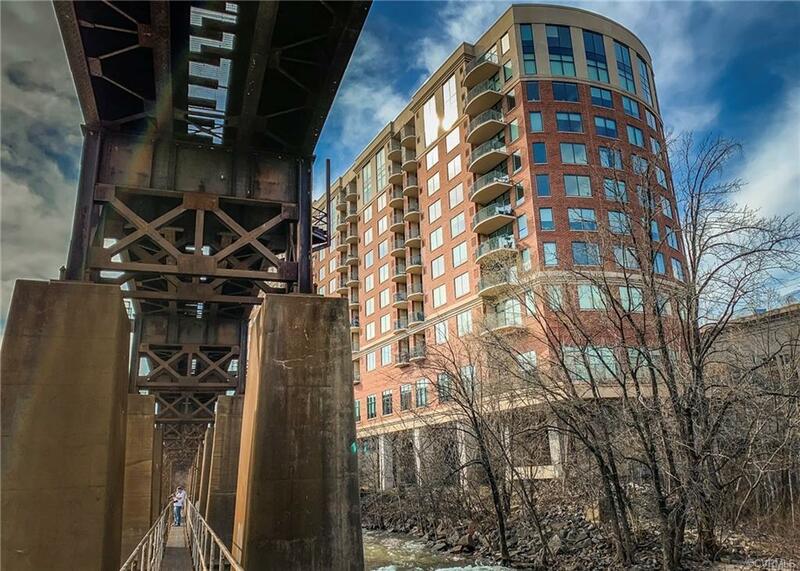 PERFECT LOCATION on the Canal Walk just off I-95 & I-195. Walk to Browns Island/Belles Isle & VCU Medical Center! If you are an Outdoor Lover this is the perfect condo for you! 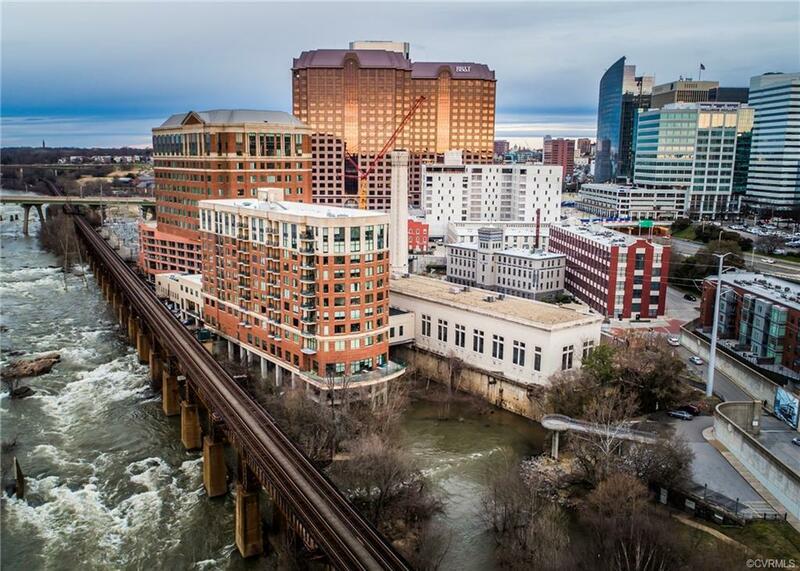 Maintenance Free Living so you can enjoy all amazing things RVA has to offer! Enjoy summer nights enjoying music festivals without any noise or crowds. 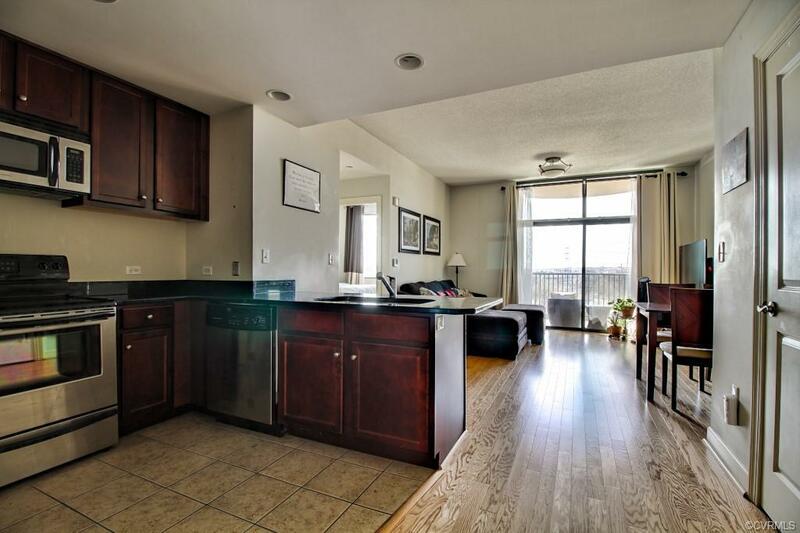 Turnkey Condo w/ NEW Engineered Hardwood w/ 9ft+ ceilings & Recessed Lights! Modern Kitchen w/ Cherry Cabinets, stainless steel app., & Granite counters w/ tile flooring. Open floor plan living w/ sliding doors to the balcony & enjoy a panoramic view of the beautiful River. Light pours into this beautiful condo but there are blackout curtains conveying if you want to sleep in! Unwind in the Master Bedroom w/ Oversized Window w/ a fabulous view of the River! HUGE Walk In closet w/ Custom Built in Closet System that leads straight to En-Suite Bathroom. Spacious En-suite Bathroom w/ Double Vanities, Granite Counters & Separate Shower.